Hire this venue for your own event - it has nine function rooms the largest of which can hold a maximum of 700 guests and the smallest is ideal for 70. 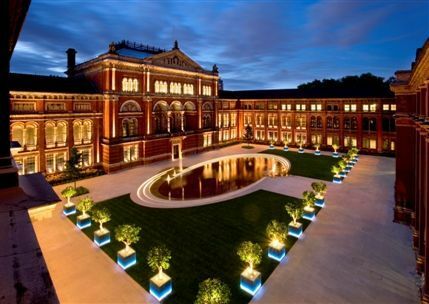 The Victoria and Albert Museum (V&A) was originally founded in 1852 to inspire and educate British designers and manufacturers. Today it houses over 4 million items spanning centuries and hundreds of cultures. The stunning collection covers European, Indian, Chinese, Korean, Japanese and Islamic artefacts ranging from ceramics, glass, metalwork and sculpture to costume, armour, weaponry and furniture. Among the museum's highlights are the dress collection which spans the 17th century to present day haute-couture; and the four-poster, Jacobean Great Bed of Ware, immortalized by Shakespeare in 'Twelfth Night'. 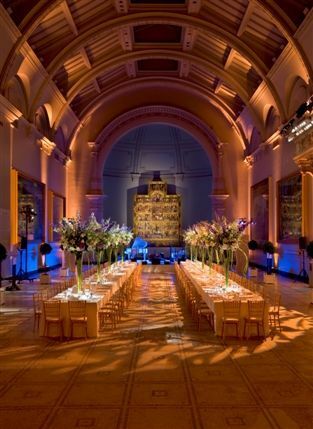 Galleries and facilities within the museum include the Theatre & Performance Galleries , the Sackler Centre for Arts Education and the Medieval and Renaissance Galleries . Additionally, 2017 saw the opening of a new purpose-built underground gallery and magnificent courtyard space as part of the ?48 million Exhibition Road Quarter . The building itself - a mix of Victorian and Edwardian design - also presents a truly formidable display. The two halls (Cast Courts) form a major focal point for the gallery with their high glass roof, elevated corridors and walkways. 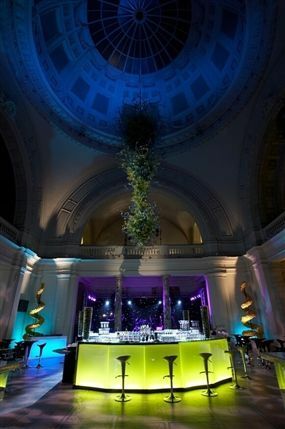 The V&A has become renowned for its major exhibitions, covering everything from David Bowie to the 1960s Revolution, and is a must-visit for tourists and locals alike. Shazia Mirza headlines the event, with support from Harriet Braine and Naomi Paxton. From cheap budget accommodation to luxury 5 star hotels see our special offers for Victoria and Albert (V & A) Museum hotels, including Ace Hotel London Shoreditch from 52% off.